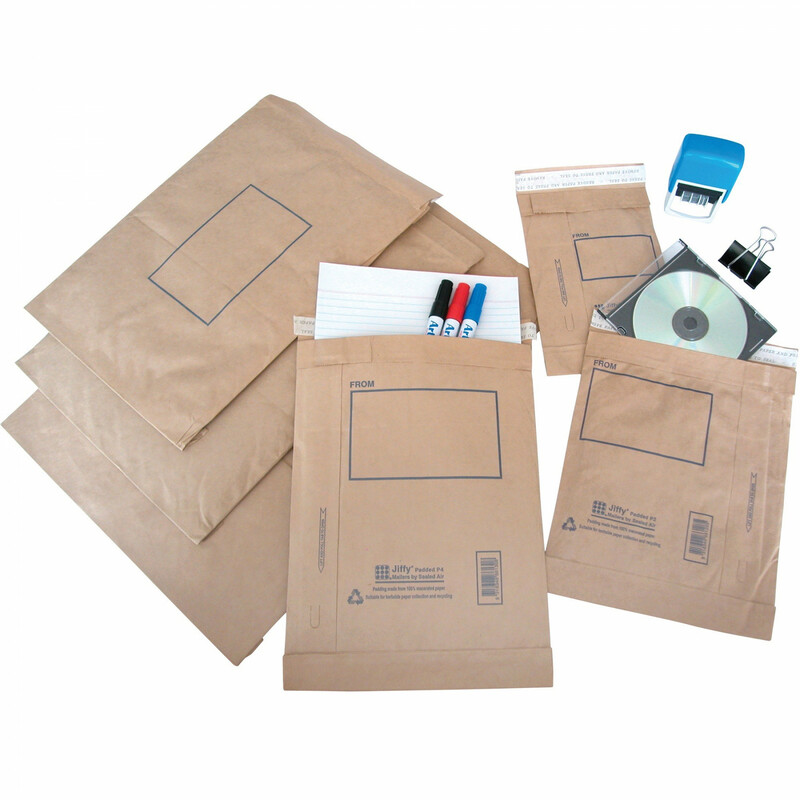 Rugged, all purpose, paper-fibre cushioned mailers. Constructed from heavy duty kraft paper with a uniform, 100% recycled inner batting (ground-up paper and newsprint) that provides excellent protection. Self-seal closure and easy opening tear-tape.